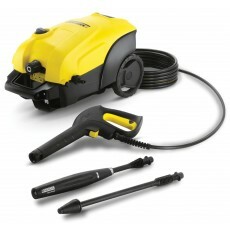 Karcher are a manufacturer that are well known for their power washers, after inventing the first modern power washer in 1950. They also, however, offer the biggest range of cleaning tools in the industry, including professional grade vacuum cleaners. Howe Tools stocks Karcher power washers and wet and dry vacuums for home use (in 110v) and for construction site use (in 240v).